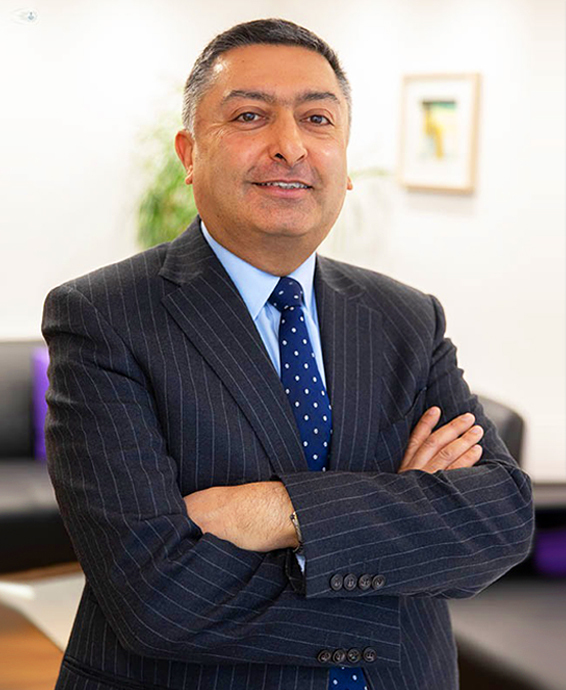 A Consultant Orthopaedic Surgeon since 2004, Mr. Vedi qualified from the School of Medicine at University College London in 1992. His higher surgical training was also in London on the highly respected South West Thames Orthopaedic rotation. During his training, he was appointed as the first ever Football Association research fellow and his work lead to a number of publications on the kinematics of the knee joint. He gained extensive experience of sports injuries throughout his training. To complete his training Mr. Vedi undertook a prestigious fellowship in Sydney, Australia. He gained speciality experience in hip and knee arthroplasty and revision hip and knee replacement in a tertiary referral practice both in the young and the elderly as well as with a number of hip and knee pathologies. He has a specialist interest in hip and knee surgery. This includes sports injuries to the Hip, Knee and Foot and Ankle, Hip and Knee Joint Replacement and Revision surgery and Foot and Ankle surgery. He has expertise in Minimally Invasive Joint replacement surgery of the Hip and Knee, Arthroscopic Knee surgery and in soft tissues conditions around the hip and knee. Mr. Vedi is a regular speaker on hip and knee surgery at various international and national meetings and teaches regularly on a number of international courses in hip and knee surgery. To continue his research interests, he is the UK principal investigator for a new technology in knee replacement. Mr. Vedi provides a complete outpatient and inpatient service to patients with problem hips and knees as well as foot and ankle problems at the hospitals listed above. Outside work, he is a family man as well as a social golfer and tennis player. He enjoys good restaurants and fine champagne. Mr. Vedi is a Consultant at the Hillingdon and Mount Vernon Hospitals NHS trust.